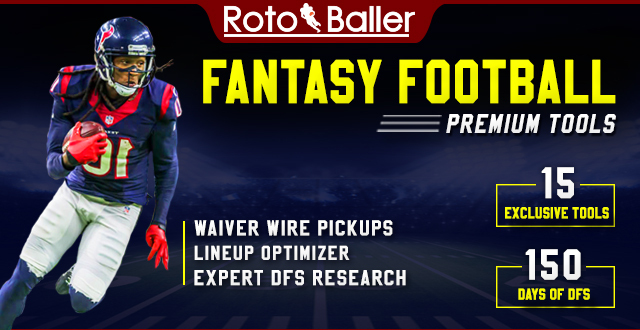 RotoBaller fantasy football lead editor Pierre Camus (@pfunk00) and NFL writer/ranker Chris Mangano (@ChrisMangano) evaluate the dynasty football league value of Jacksonville Jaguars running back (RB) Leonard Fournette heading into the 2019 NFL season. Like and subscribe to the RotoBaller channel on Youtube to get all our latest podcasts and catch us on iTunes and BlogTalkRadio as well! Be sure to also tune into RotoBaller Radio on SiriusXM (channel Sirius 210, XM 87) - every weekday morning between 6-7 AM ET, and Sunday Game Day from 10-11 AM ET. You can also find new weekly shows on the site under RotoBaller Radio podcasts. 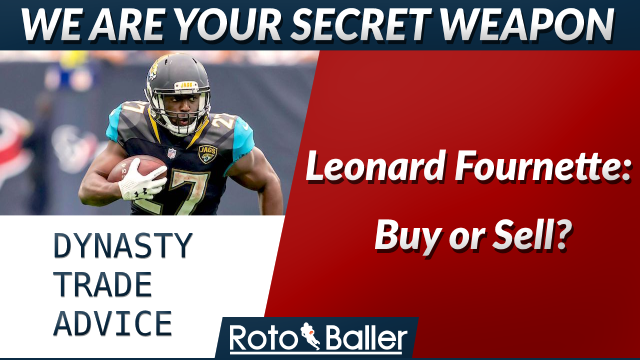 Pierre and Chris discuss whether Jags RB Leonard Fournette is a buy or sell candidate based on his current ADP in dynasty leagues. Should you make a dynasty trade involving Fournette before the NFL Draft?